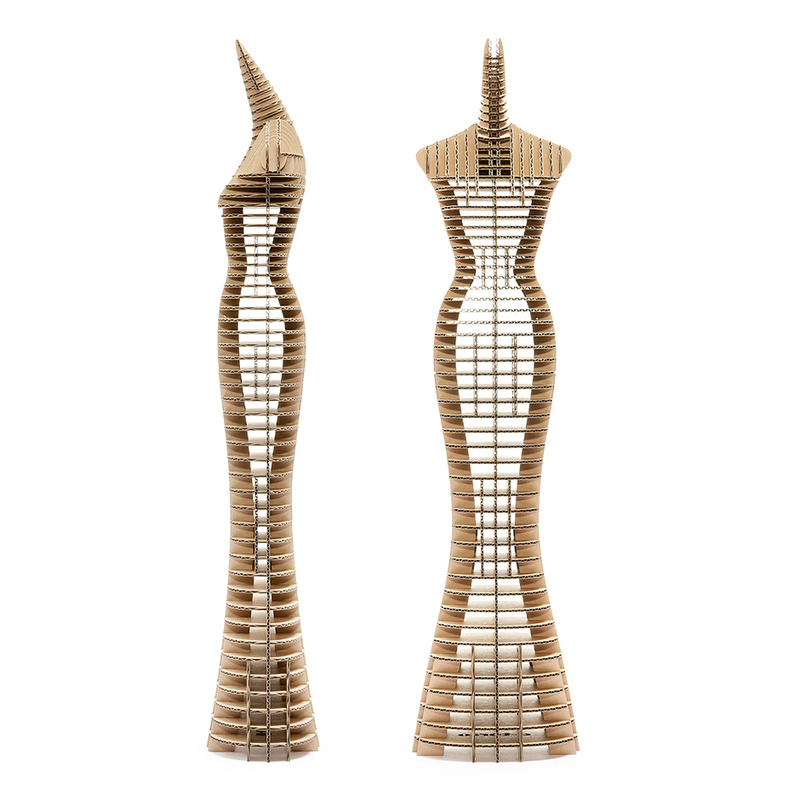 The d-torso Mini ADAM & EVE Towers are constructible cardboard craft models made of precision laser-cut parts. 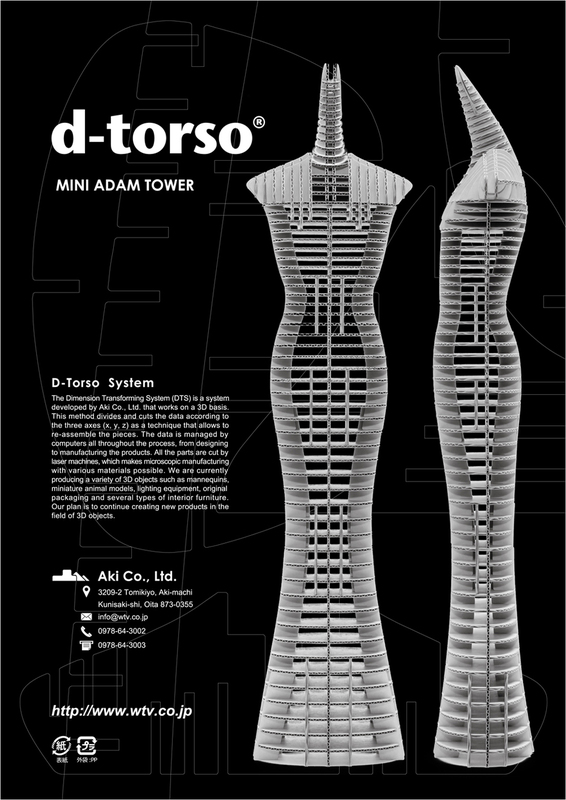 The d-torso EVE is made of 123 pieces, and ADAM of 128. 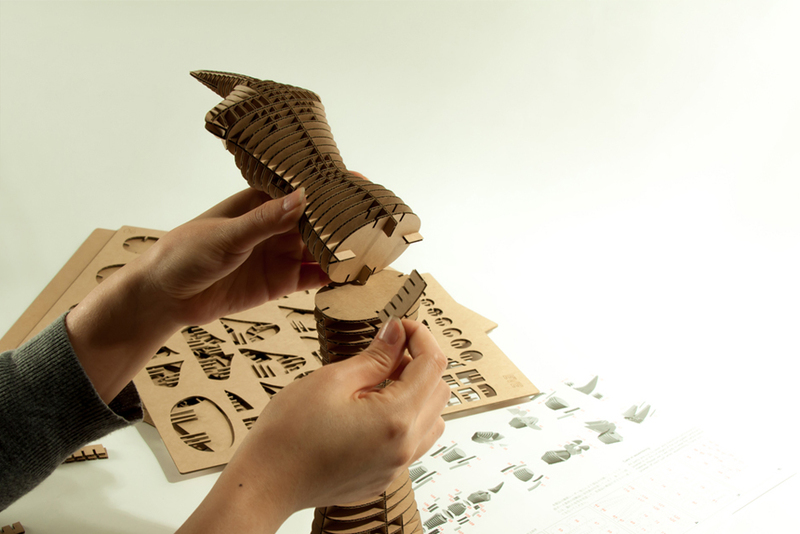 With no glue or scissors required for assembly, the models are designed for everyone’s building enjoyment. 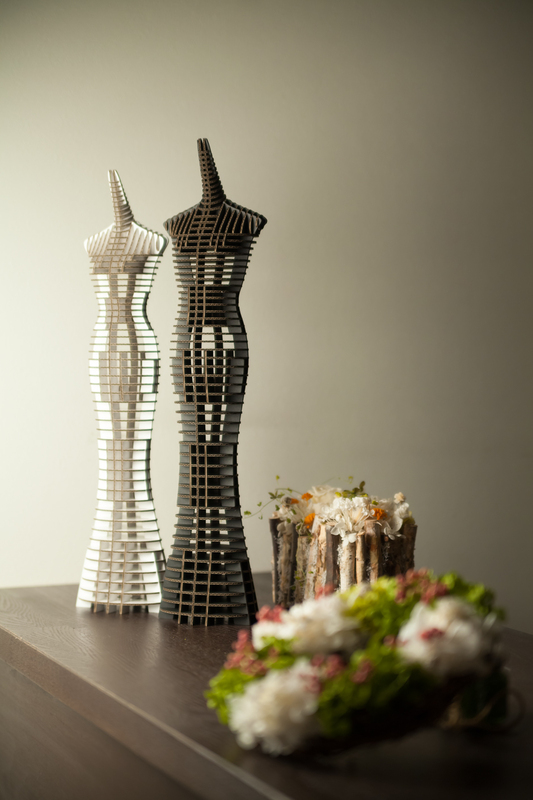 The d-torso was originally invented by Yuki Matsuoka in 1998 to support his wife’s exhibition of knitwear, and the human shape has been its driving theme ever since. 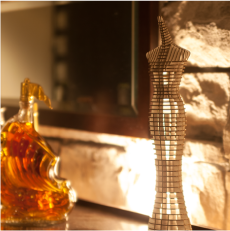 We have developed original technology to shape models of objects not by their outer surfaces, but in precision slices. While we have applied that technology to creating animals, machines and other types of structures for the last 15 years, the root has always been the human form. 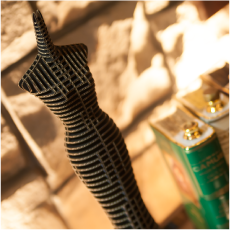 The d-torso does not have outer surfaces or skin. 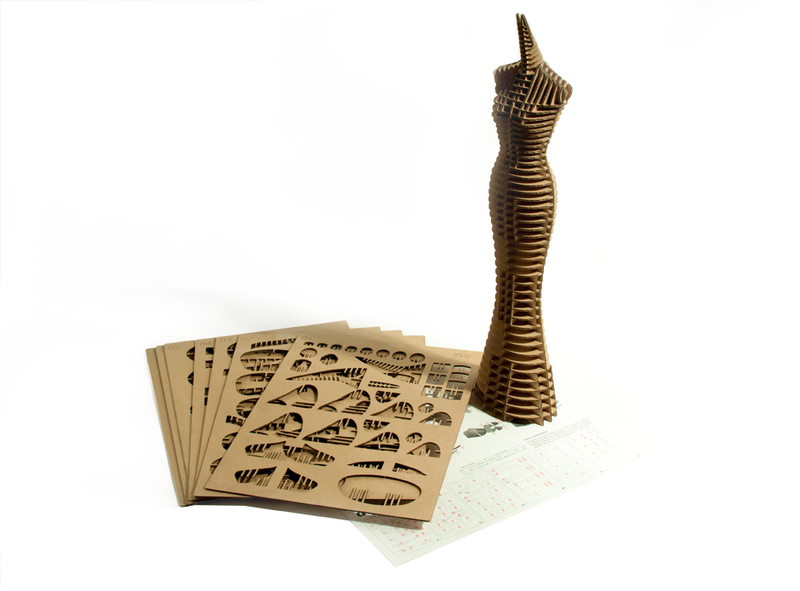 It consists entirely of cardboard slices precisely cut by laser. 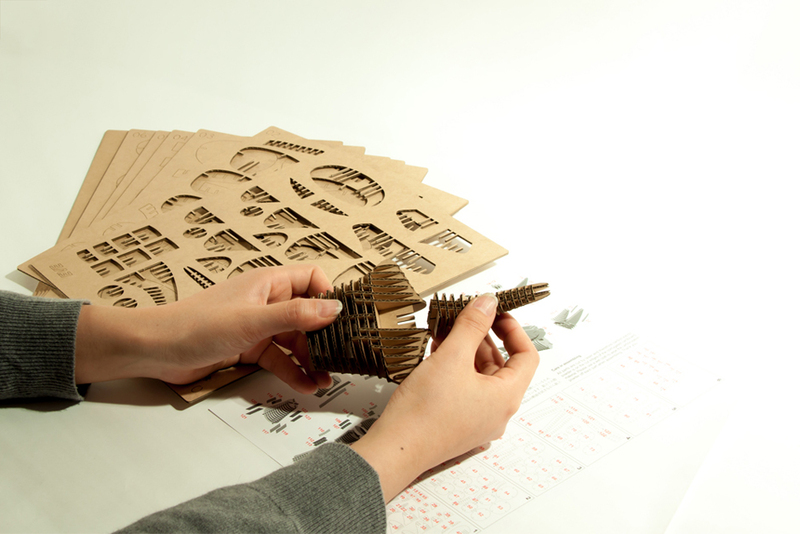 Viewing the model’s discontinuous assembly, it is easy to imagine the object it suggests. 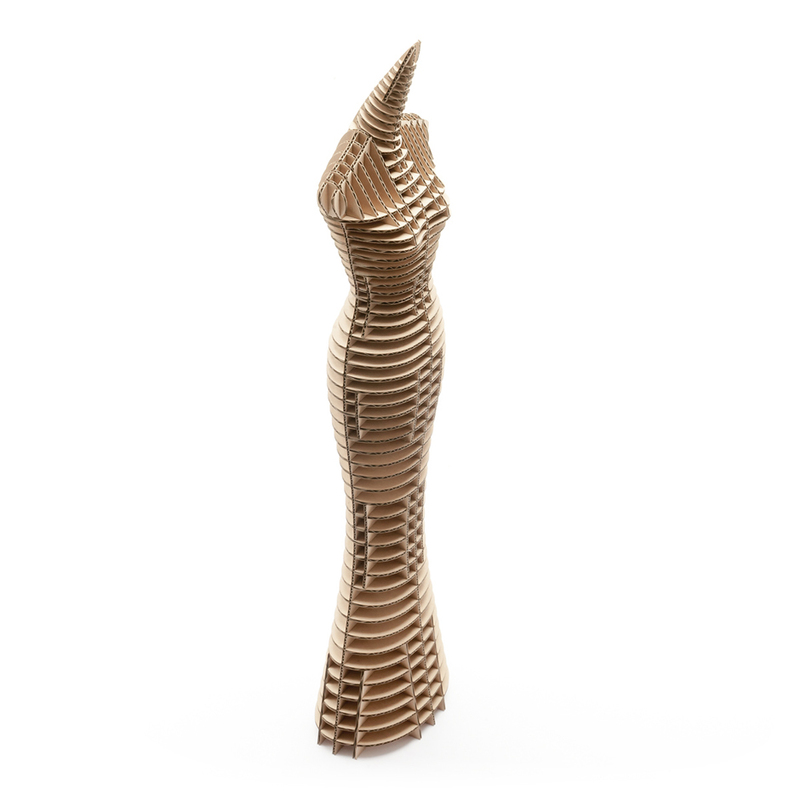 At the same time, the pieces’ internal corrugated structure is visible and obvious. 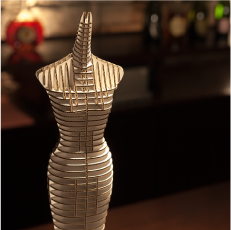 This delicately crafted “balance” between the model’s discontinuous surface and its exposed structure is what makes the d-torso unique. And the d-torso ADAM and EVE are its most striking examples. 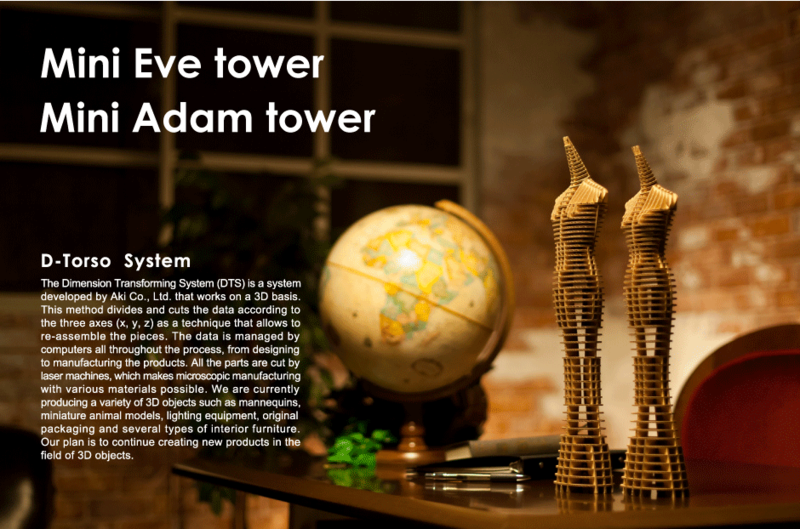 The d-torso Mini ADAM & EVE Towers are miniature versions of the original EVE Tower & ADAM Tower. How to use the completed model is up to you. 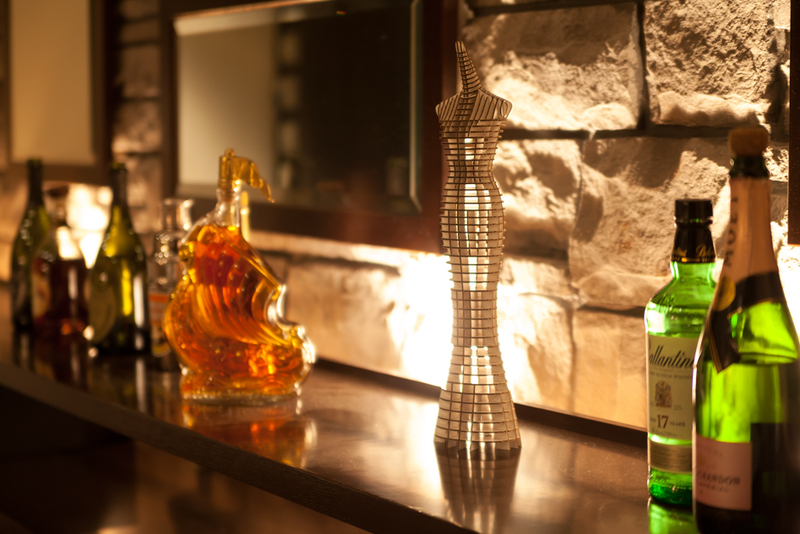 You can put it up as an interior decoration, use it as an accessory stand, dress it up—your imagination is the limit. 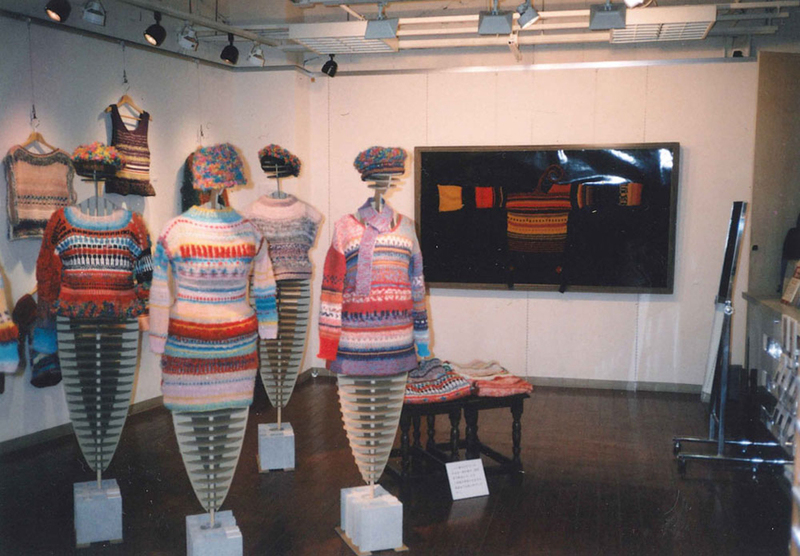 Eighteen years ago, I made the first d-torso prototype for my wife’s knitwear exhibition. 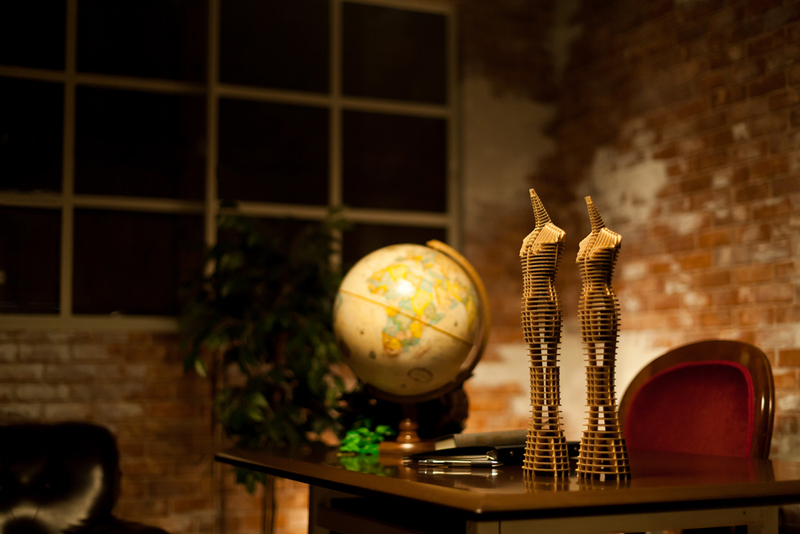 The first five handmade prototypes were created at that time. 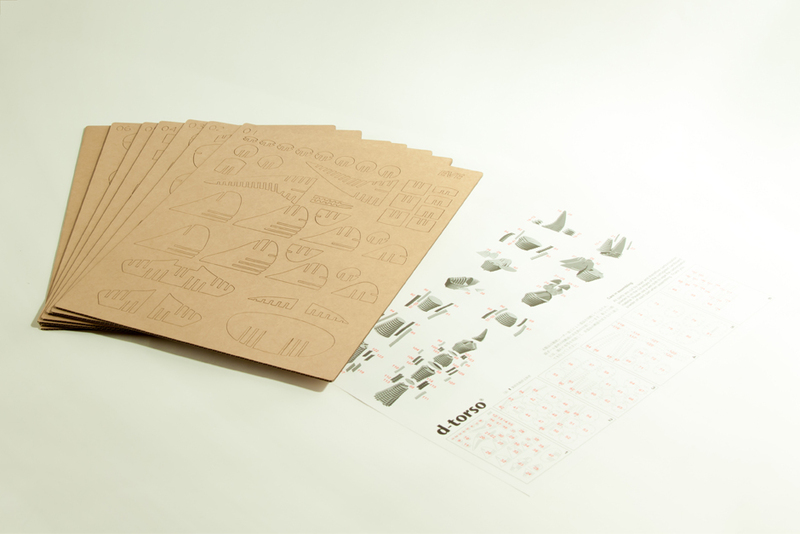 Since I didn’t have a laser cutter or even a computer, I designed the pieces directly on the paper and cut them with the scissors, which required an extraordinary amount of time. The current d-torso EVE is the 6th generation, but the basic structure has never changed since then. 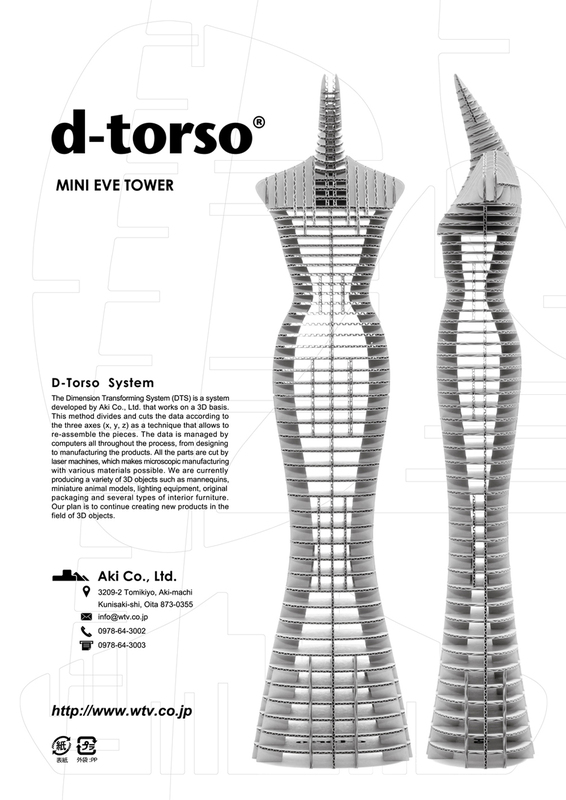 Seven years after those first prototypes, the d-torso “tower” model was born. 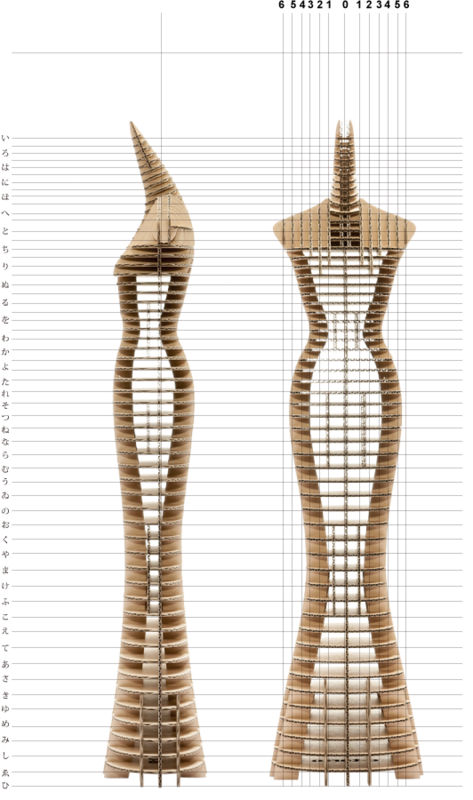 I was asked to create a mannequin for displaying the chimageogori—a traditional Korean dress—for an exhibition held by fabric dye artist Fukumi Shimura and designer Lee Young-hee. It was my pleasure to support a pair of the most talented artists and designers. 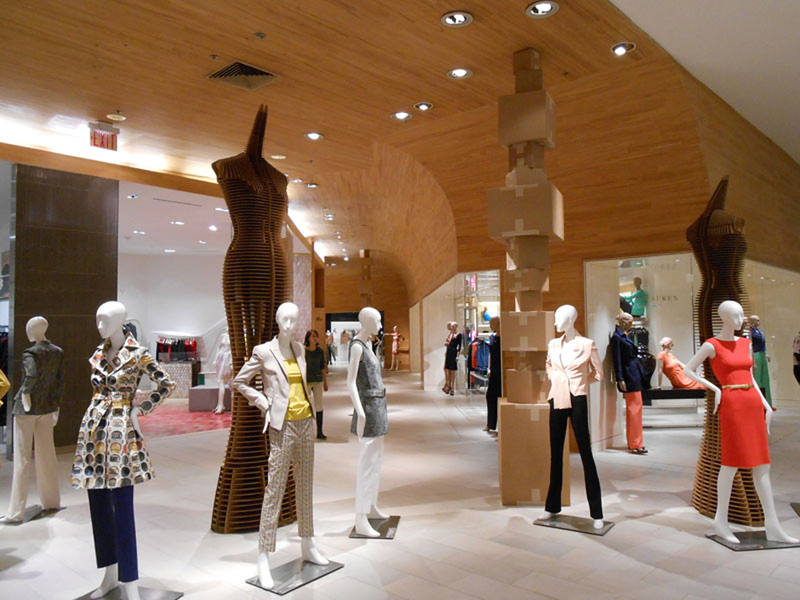 Then, in 2013, we erected an enormous 12-foot EVE Tower at Saks Fifth Avenue in NY. It was an amazing experience for me to gaze up at the massive entasis of that giant EVE Tower. 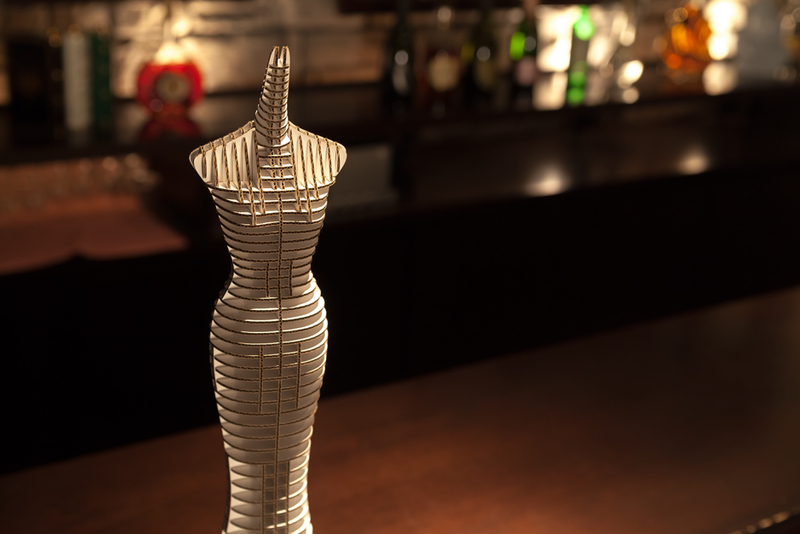 It seems that somebody or some new order is always inspiring the idea and innovation of the d-torso. 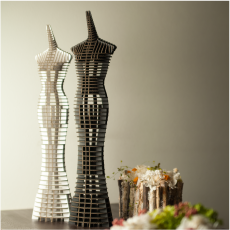 The mini ADAM and EVE are miniature versions of the mannequin ADAM and EVE. 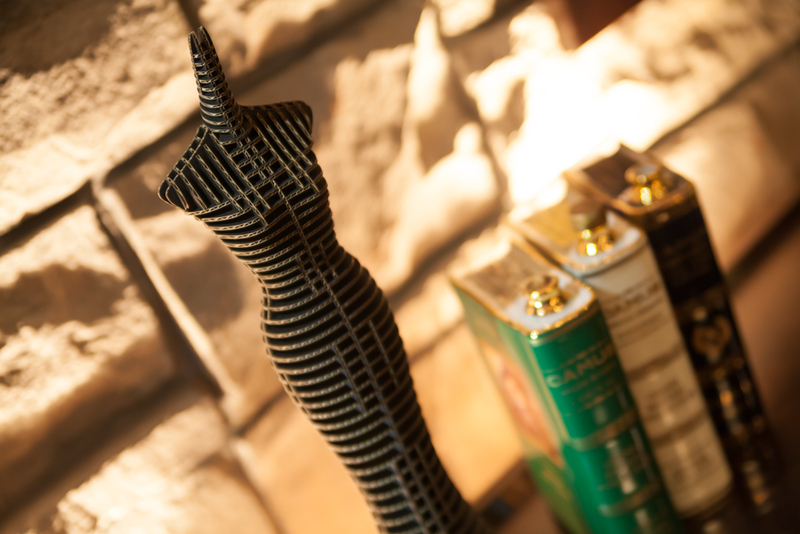 They bring me memories of good old days, and they are still popular products among our d-torso line. I still believe in this as the origin and base of our concept. 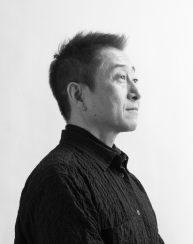 Yuki Matsuoka / Aki Co., Ltd.